6620 Ultimate Accessory Set is a BIONICLE set released in 2006. 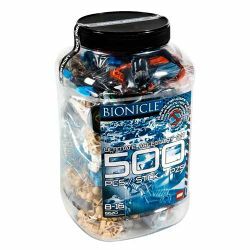 It contains 500 BIONICLE pieces. 33 of the total amount can be used to build 8614 Nuurakh (instructions are not included). There is also a Vahki Nuurakh Kanoka Club Card included. Facts about "6620 Ultimate Accessory Set"